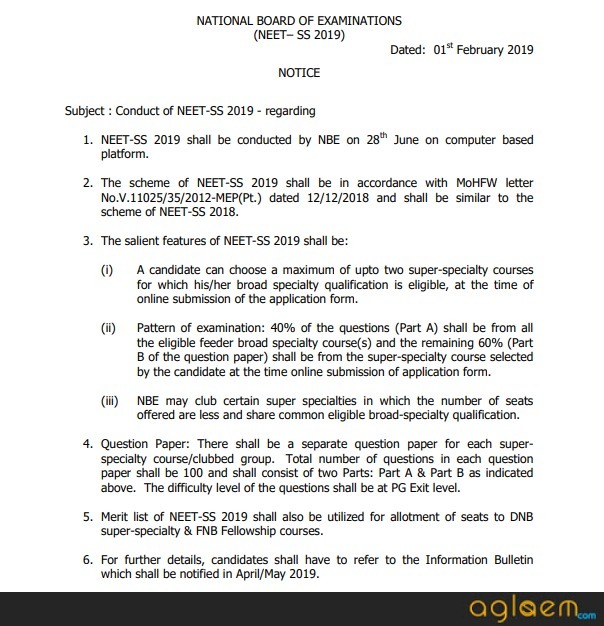 NEET SS 2019 exam date has been announced by National Board of Examinations. The entrance exam is scheduled to be held on June 28, 2019 in Online Mode. 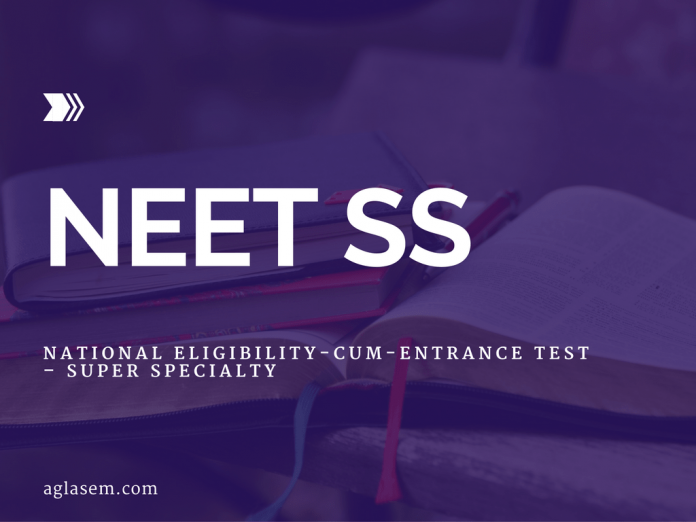 NEET Super Specialty 2019 is a National level entrance exam conducted to offer admission in DM / MCh courses. The Information Brochure for NEET SS 2019 is going to be released in the month of April/ May 2019. The registration for NEET SS 2019 is expected to start from 02nd week of May 2019 at nbe.edu.in. The candidates can choose a maximum of upto two super-specialty courses at the time of filling in details in NEET SS Application Form. The merit list for NEET SS 2019 is used for allotment of seats to DNB super-specialty & FNB Fellowship courses. Check more details on NEET SS 2019 entrance exam from this page. Latest: NEET SS 2019 date has been announced by NBE. Candidate can check it from the below table. NBE is conducting NEET-SS 2019 on a computer-based platform in a single session. The candidates can check the important dates for NEET SS 2019 from the table below. Candidates who are in possession of recognized postgraduate medical degree(MD/MS/DNB)/ Provisional Pass Certificate or an equivalent recognized qualification or likely to be in possession by the 15 July 2019 in accordance with eligibility qualifications for super specialty courses can apply for NEET-SS 2019. Requests for appearing in NEET-SS 2019 from candidates who are qualifying and getting the results of their MD/MS/DNB qualifications after 15 July 2019 shall be summarily rejected. Registration with M.C.I./State Medical Council/ is necessary and its documentary proof should be furnished at the centre on the examination day. Application Form for NEET SS 2019 will be released at the official website. Candidates can fill the application form by registering themselves. Application form must be filled on or before last date. Before filling the application form candidates must ensure his / her eligibility. Candidates are advised to keep this thing in mind and Apply Online for NEET SS 2019 on time. Insofar, Only the exam date has been announced and other Notification regarding NEET Super Specialty 2019 has not been announced yet. Information on this page as per the last year details. As soon as the conducting body will release the official notification the same will be updated here. Where can I find the seat matrix for neet ss 2018 ? Pls send me the link. Thank you! Can I get seat matrix for neet ss course in hematopathology n medical genetics. Which colleges or hospitals offering the course ? Is registration certificate of mbbs degree from State medical council enough to appear at the examination centre for neet ss or do we need registration of MD degree also? Below is the list of medical institutions that will not participate in the admission process. 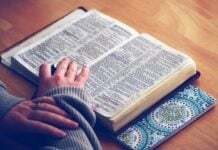 I have got a rank of 380 in urology ..where do I stand a chance ? Wants to know name of Government colleges having DM cardiology. It depends on the marks and cut off and interest of the child.